Ready to get your celebration on? Pick a package with options to fit any budget — or customize your own party package. 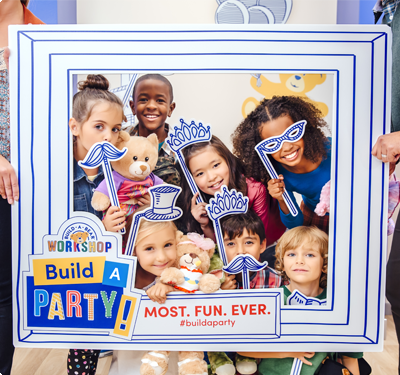 Every Build-A-Bear party package is full of energy, creativity and most of all, fun! Just for the Birthday Guest of Honor: A plush, light-up cupcake keepsake! Set your own per-Guest budget (starting at $12) and add fun clothing and accessories! Your Party Leader will help you stay on budget! A plush, light-up cupcake keepsake for the Birthday Guest of Honor!